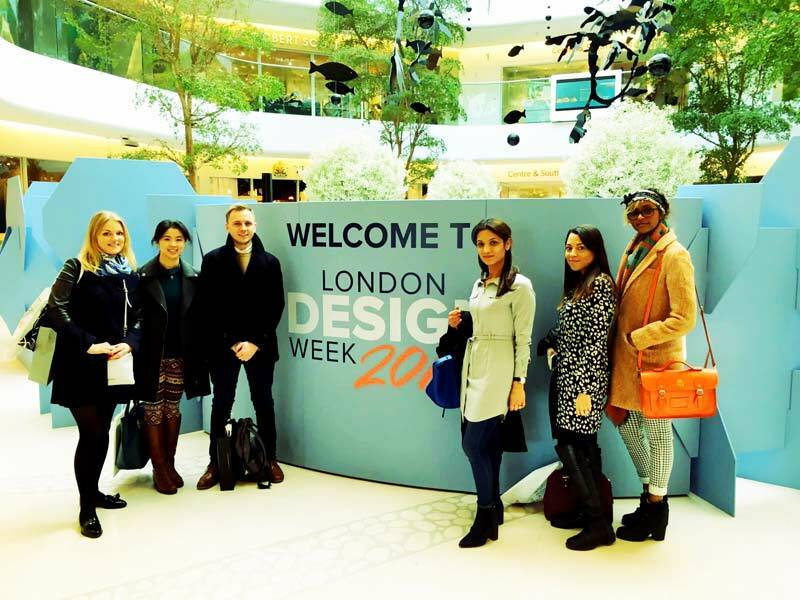 Chelsea Harbour, March 24th 2016, was the scene of this year’s London Design Week. 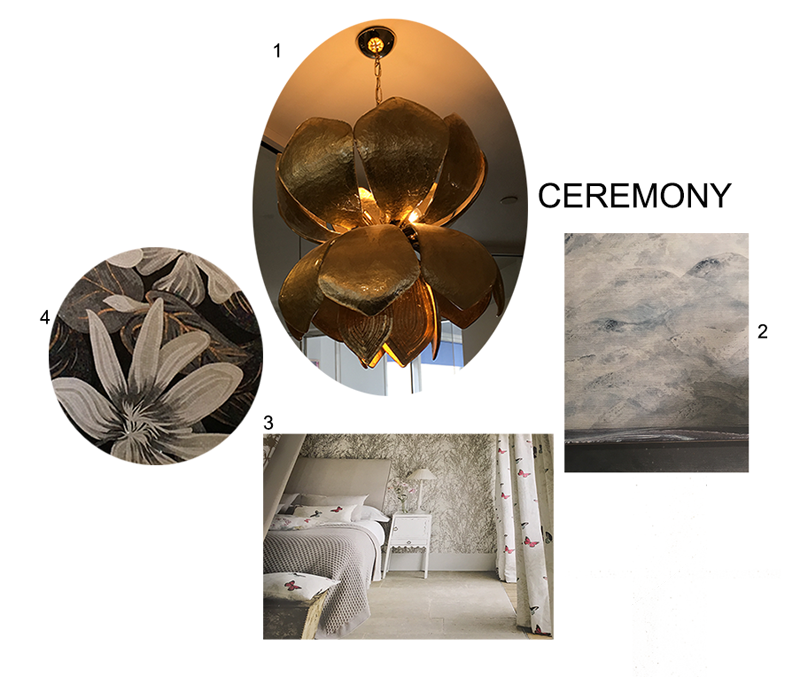 The ani M INTERIORS team were there in force to see the design houses’ spring/summer collections and how they will inspire the trends for this year. The first trend is Amazon. Embodying the spirit of Brazil, this trend is a riot of colour and lush vegetation. Oversized leaf prints provide backdrop for bold ceramics, textured glass and natural materials such as wicker and wood. It’s a relaxed tropical feel that’s perfect for a hot summer. Parada’s Decorative Velvets by Romo Fabrics captures the feel for a tropical hothouse and it’s a look that can be recreated easily on a terrace or balcony. 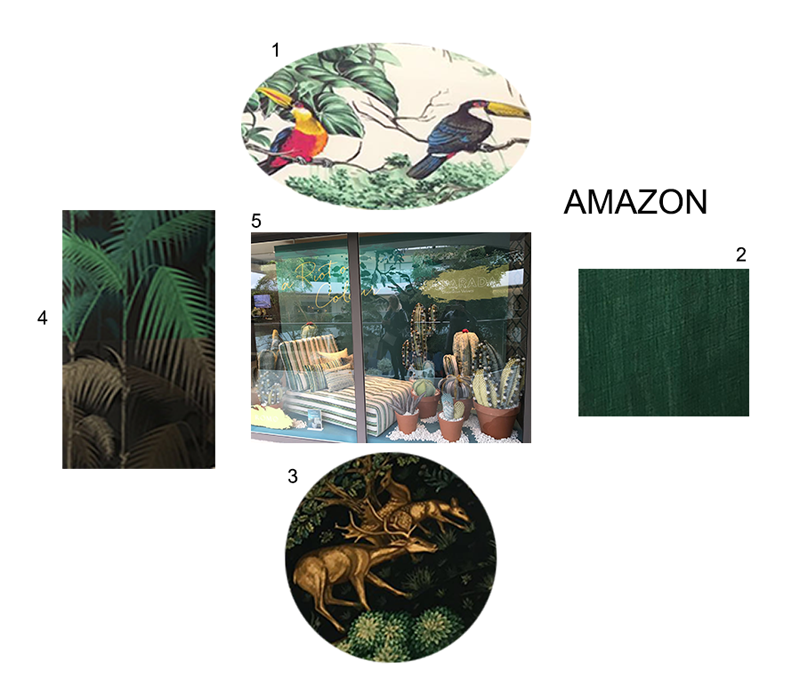 Hermés Home Fabrics has a fantastic range of primary colours for soft furnishings, but it is the rainforest and parrot print that brings this trend to life. Imagine this fabric as scatter cushions on a decked terrace or as concertina screens on a balcony on a glorious sunny day, bliss. Dominating greens and fauna prints were largely visible on soft furnishings, wallpaper, paint colours, fabrics and decoratives at the design week. Some stand outs that excellently delivered the true essence of the trend at the event were Dedar’s Fabric from its new collection, cushions displayed by Morris & Co. and Cole & Son’s wallpaper. The second trend that caught the team’s eye is Ceremony. As pretty and whimsical as cherry blossom, this trend is perfect for spring. Floral and Chinoiserie prints combine with soft pastels to create a relaxed, natural space. The key here is detail, the trend is saved from being too feminine by the Japanese-style designs that play with angles and shape in an irresistible way. For this trend, the team was inspired by Wired Custom Lightings’ lotus-style ceiling light and R.I.M’s water lily and Jasmine blossom design tiles. Sanderson’s Meadows canvas print for walls and soft furnishings captures the essence of a soft summer breeze stirring the long grasses while Zoffany’s Sansui wallpaper makes you feel as though you are looking out across misty Japanese mountains at dawn. The third design trend is Traveller, unsurprising as most people’s thoughts turn to holidays in the summer. This trend is an eclectic mix of exotic styles: from Kilim rugs to Moroccan lanterns, from plantation wicker sofas to new paisley print throws, from modern Indian prints to ancient Byzantine symmetrical patterns. 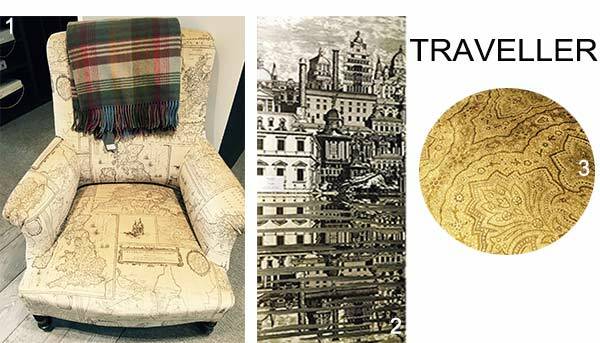 With this world explorer, pick and mix approach in mind, the team couldn’t resist the contrast of Lizzo’s ornate fabric, Cole & Son’s urban print wallpaper and the upholstered armchair and tartan throw from GP&J Baker, Mulberry Home. The final trend is Regatta. A fresh take on the nostalgia of coastal living, navy, white and red maritime stripes have never looked so good. Combined with clean geometric patterns and vintage floral prints the Regatta trend recreates a stylish beach retreat in your own home, without the sand. This look is defined by the combination of bright white décor with natural elements and space for bold patterns and stripes to shine. 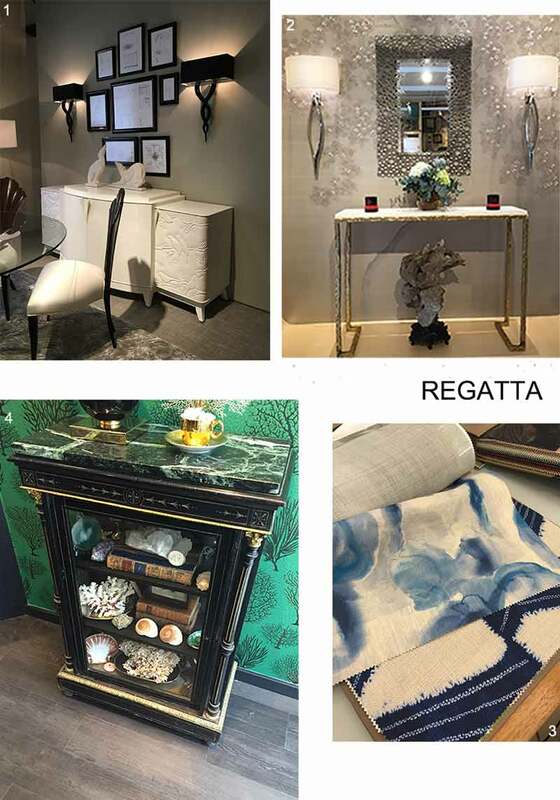 At London Design Week, the team fell for Christopher Guy’s clean white cabinet, Cole & Son’s seaweed wallpaper, Zofanny’s watery blue, navy and white fabrics and Fromental’s shimmering sea foam accessories to help bring the coastal trend to the capital. If you would like advice or expert guidance on bringing any of these London Design Week trends to your home this spring/summer, get in touch with the team who will be happy to help.